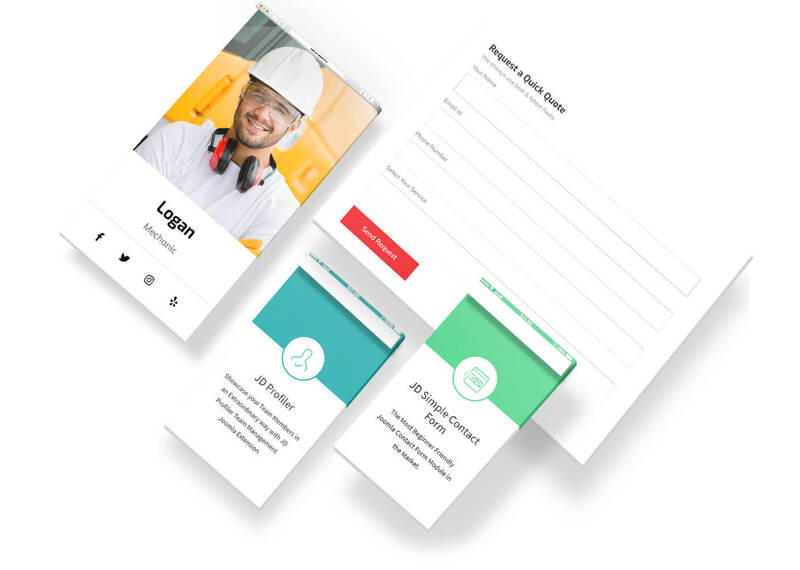 Clean, modern, functional and professional Industrial Joomla Template that is specially designed for Industrial and Business websites. JD Coax is a highly responsive Joomla Template which comes with catalog shop integration which enables you to showcase your product catalog easily. This template is powered with Astroid Framework which makes it manage and customize your Joomla website easily. 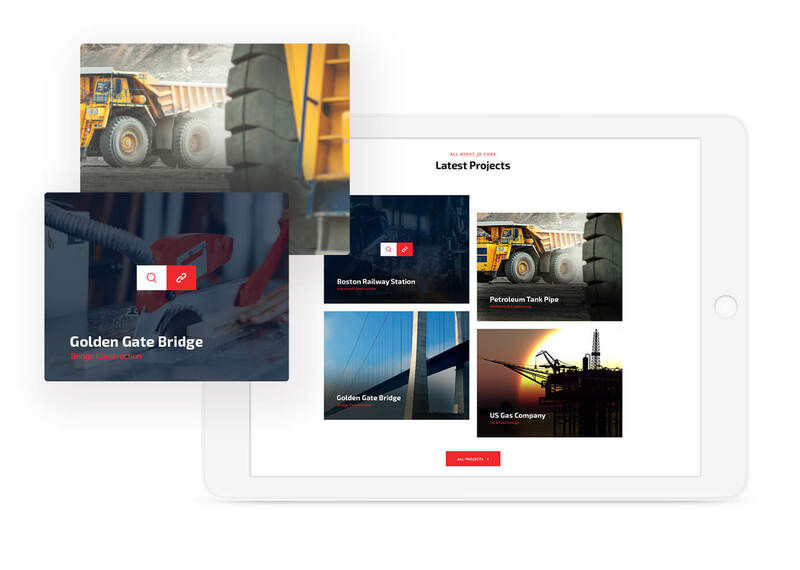 This Industrial Joomla Template is designed with HTML5 and CSS3 which will enhance the beauty of your Joomla website. It comes with a powerful admin panel from where you can control all the settings easily. 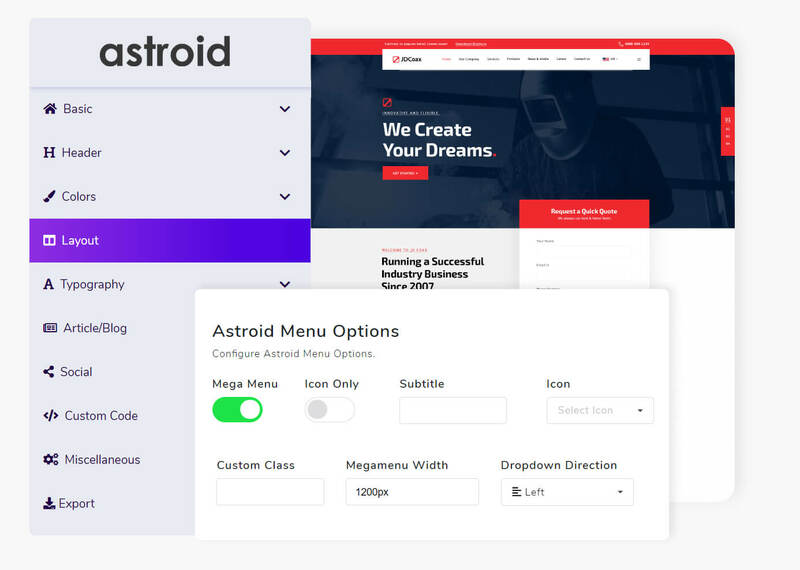 Now, it's easy to create any kind of mega menu with the help of Astroid Framework. It comes with easy to use and customizable mega menu builder with drag and drop interface. Also, here you can add multiple rows and columns & add menu items or module in the mega menu. You will get different article types such as regular, video, music, image etc which will help you to categorize all your articles as per their type. Most important, all the article types come with schema integrations. You can control all the settings from a single place. You want to manage the preloader or want to create a layout for your website, everything is in one place. JD Coax is works perfectly with TZ Portfolio+. We have used this open source Joomla component to create your portfolio. Don't hesitate to try all of its amazing features, like a stable core system, free downloadable layout templates crafted by web design professionals or its ACL manager and many others. 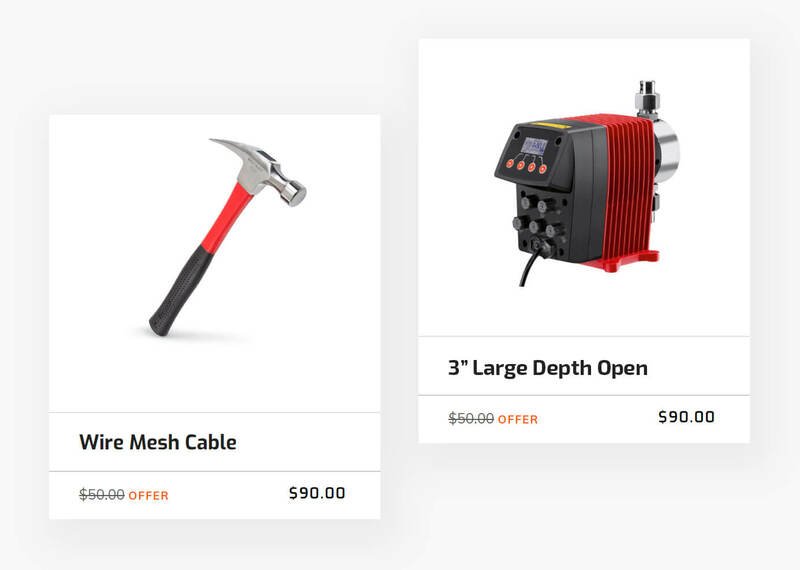 Sellacious enables you to create a catalog website as well as a full fledge E-commerce solutions and marketplace website.